Kathleen Wynne, Ontario premier, will host a town hall in Ottawa on Jan. 18. In this file photo she hosts a Q&A with students at Algonquin College in spring 2017. (Devyn Barrie/OttawaStart.com)[/caption] _ (Via Carleton Provincial Liberal Association) _ Premier Kathleen Wynne is traveling across Ontario to hear from people on the issues that matter most to them. 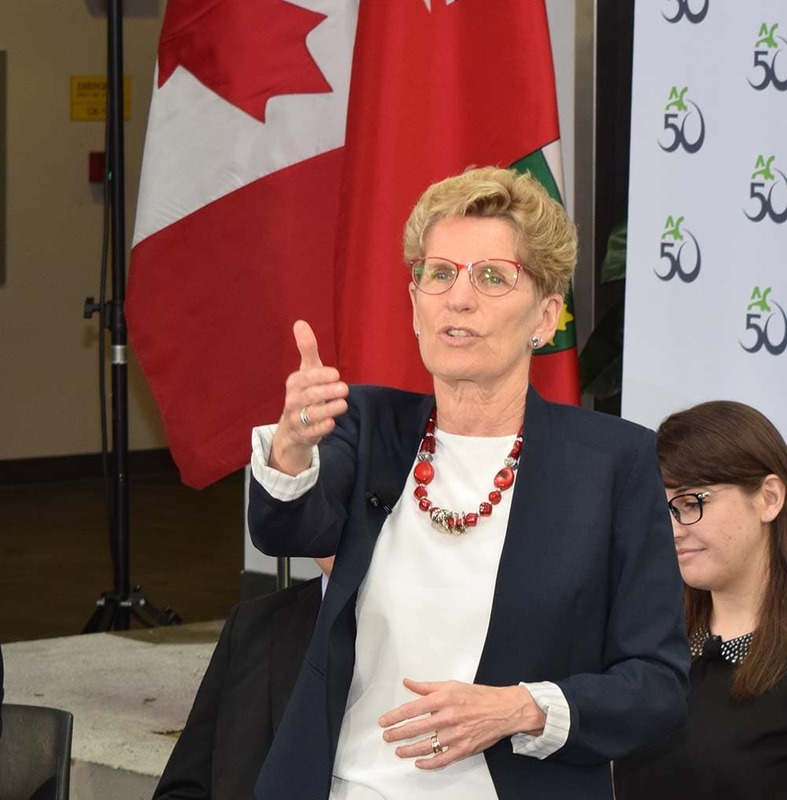 Following engaging town hall meetings in Toronto and Brampton, where the Premier answered questions on everything from cannabis to auto insurance and the rising minimum wage, ** Premier Wynne will next host an open forum in Ottawa on January 18. ** It will provide an opportunity for people from all over the National Capital Region to share their thoughts on how to create more fairness and opportunity in Ottawa, and across Ontario. ** Where: ** The Chamber at Ben Franklin Place, 101 Centrepointe Drive in Ottawa. ** When: ** January 18, 2018. Doors open at 6:00 p.m. and the Premier’s Town Hall will start at 7:00 p.m. ** Admission to the event is free and open to everyone. ** General admission seating will be available on a first-come, first-served basis. People of all ages and from all walks of life have already shared their views and asked questions about how government directly affects their lives and communities. The forums have provided an opportunity to open a dialogue with the Premier about the challenges of a changing economy, and have been attended by hundreds of people. We hope to see you on January 18th!